We’re a non-profit, volunteer-driven organization that’s been broadcasting since December 17, 1984. All of the programming you hear is produced by our 200+ volunteers. As a campus/community radio station, and proud member of the National Campus & Community Radio Association, we play an important role in our community. We provide a platform for marginalized voices in our community to represent themselves on-air. We highlight music genres you won’t hear anywhere else. We support and promote local arts events, festivals and non-profit organizations. We also provide volunteer and learning opportunities. Volunteers can gain experience in news production, on-air programming, audio production, live studio teching, video production, communications, outreach and promotions. You can find us in the basement of the Student Union Building right across the hall from our pals at the Martlet. 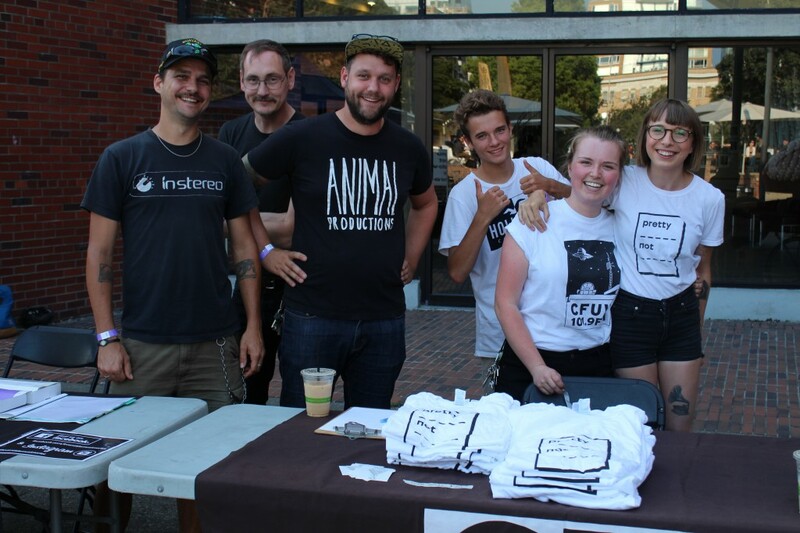 Come say hi, take a peak into the on-air studio, and learn more about how you can get involved with CFUV! The precursor to CFUV (CKVC) was formed in 1965 and broadcast to two student residences and the Student Union Building. After leaving the air in 1970, the campus radio was resurrected in 1981 when the UVic Campus Radio Club was formed. On December 17, 1984, CFUV became Victoria’s second FM station, broadcasting at a mere 49.4 watts on 105.1 FM. In 1987 CFUV began working toward increasing its transmission power to over 2000 watts. After a successful student referendum and a long bureaucratic application process with the Canadian Radio-Television and Telecommunications Commission (CRTC), approval was granted in September 1988; and in January 1989, CFUV began broadcasting on 101.9 FM at 2290 watts. Currently, CFUV is broadcasting terrestrially all over Greater Victoria and the Gulf Islands. In May 1996 CFUV moved into a new studio in the lower level of the Student Union Building.